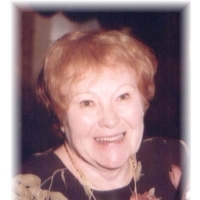 Lilian M. O’Gara, 92, of Bristol, passed away peacefully at her home on Thursday February 7, 2019. Lilian was born in Abbey Wood, England on November 5, 1926, the daughter of the late William and Violet Sherman. She retired from Bradlees after working there for 32 years. During that time Lilian made lifelong friends of co-workers and customers, and was known to many as “Mrs. B.”. Lilian’s family and friends knew her to be a devoted mother and grandmother (Nana), a wonderful cook, and a terrific bargain-hunter and shopper. She had a unique combination of warmth and mischief while always maintaining a very British “stiff upper lip”. She is survived by her husband Donald O’Gara of Bristol; her daughter Karen M. Wasta of Bristol; her son Joseph R. Senak, Jr and his wife Brenda H. of Vero Beach, FL; her three grandchildren, Matthew Wasta and his wife Sandra of Bristol, Amy Philbrook and her husband Erik of Southborough, MA and Joseph R. Senak III of Charlestown, RI; her five great grandchildren Emily and Jackson Philbrook and Lilian, Katelynn and Abigail Wasta. She was predeceased by her husband Joseph Senak, Sr. Calling hours will be held at O’Brien Funeral Home, 24 Lincoln Ave., Forestville/Bristol on Monday (February 11, 2019) morning from 9:30 AM until 10:30 AM then to St. Matthew Church, Bristol for a Mass of Christian Burial at 11 AM, followed by a procession to St. Joseph Cemetery, Bristol.